U.S. Government agencies have been working together to deliver emergency supplies for flood victims, refurbish schools and rebuild playgrounds and youth camps. And they’ve tackled tougher issues, too, such as government transparency and corruption. Cooperation between USAID and DOD included working together in the immediate aftermath of the floods, and continued to include language training and youth engagement. In the days after the floods, USAID helped DOD deliver five truckloads (over 25 tons) of emergency relief supplies from the U.S. Army Garrison Livorno (Camp Darby) in Italy. The goods, valued at approximately $750,000, included generators, water pumps, space heaters, sleeping bags, cots, mats, blankets and portable kitchens…. Close collaboration continued in May 2015, when USAID welcomed 24 U.S. Army cadets as part of the Army’s Cultural Understanding and Language Proficiency (CULP) program. USAID organized joint activities to benefit the local population in various BiH cities. The region’s countries also came together in the wake of the disaster. 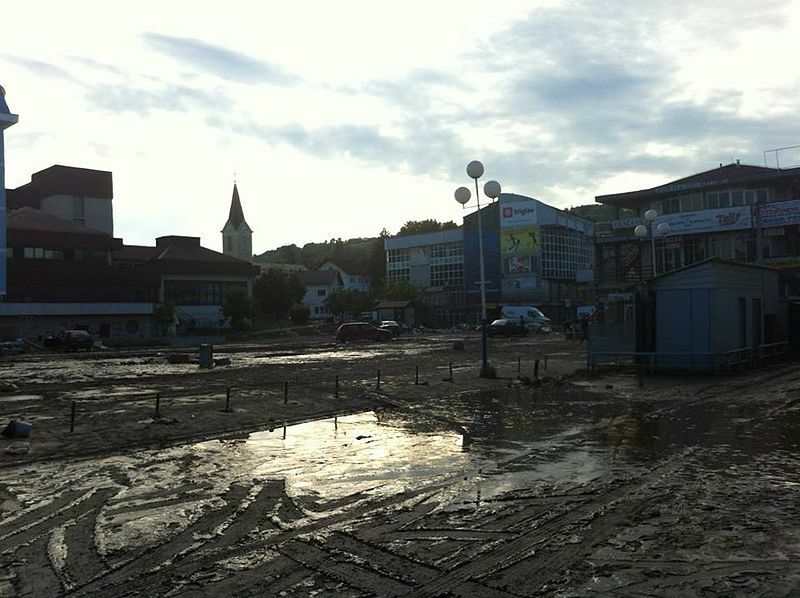 The floods did not recognize national boundaries, and neither did the rescue teams from Macedonia, Slovenia and Croatia, who, despite previous tensions, came to the aid of Serbia and Bosnia. The world is going to see more extreme weather events, and these events are going to continue to ignore national boundaries. Understanding that there will be more catastrophic flooding events in one thing. Putting together a risk management strategy to mitigate catastrophe is another. Case studies like the floods in Bosnia and Serbia can provide examples of how nations, and agencies and departments within nations, can cooperate to mitigate risks. By Caitlin Werrell and Francesco Femia in climate and security on November 5, 2015 .